Ben-Dahan's tenure technically expires with Yaalon's departure, but expected to be extended. So why are he and his staff being booted out? 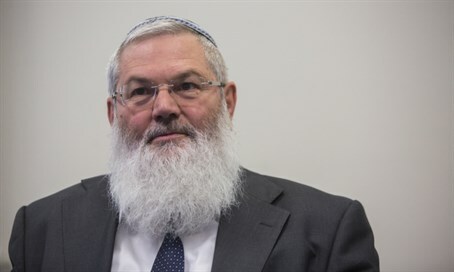 The office of Deputy Defense Minister MK Rabbi Eli Ben-Dahan (Jewish Home) received an eviction notice Sunday morning, demanding all seven members leave the Kirya government complex by 4:30 pm. Ben-Dahan's office is being ousted based on a technicality: with the departure of Defense Minister Moshe Ya'alon (Likud), the tenure of the Deputy Minister expires as well. It is expected to be renewed under the coalition agreements being formed between Likud and Yisrael Beytenu. However, the tone and tenor of the announcement shocked Ben-Dahan's office, as all seven are expected to return under the new defense minister - presumably, Yisrael Beytenu chairman Avigdor Liberman - within several days. Ya'alon and Ben-Dahan clashed on numerous issues while in office together, with one particular point of contention being that the Defense Minister ignored a coalition agreement giving Jewish Home - and Ben-Dahan - control over the Civil Administration, the governing authority in Judea and Samaria. And last year, Ya'alon also did not inform Ben-Dahan of Prime Minister Binyamin Netanyahu's decision to shelve a plan regulating the entry of Palestinian Arab workers into Judea and Samaria - despite Ben-Dahan working directly beneath him in the Defense Ministry and the obvious importance of the plan. Ya'alon later apologized.